It's wonderful how the use of social media can allow you to come across new discoveries and unearth natural talents from across the globe. 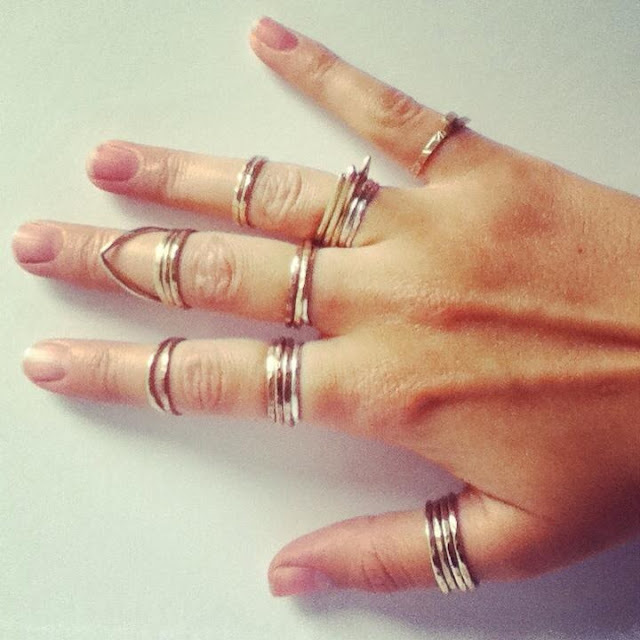 I set up my instagram account 3 weeks ago and was delightfully bombarded with images of fantastic jewellery designs which feasted my appetite for stackable jewellery pieces, particularly stackable finger adornments. Amandex Jex is one particular instances of my new found discoveries. Hailing from the prairies of Alberta, Canada; her extensive travels to all corners of the globe gave her endless inspirations and creative possibilities. 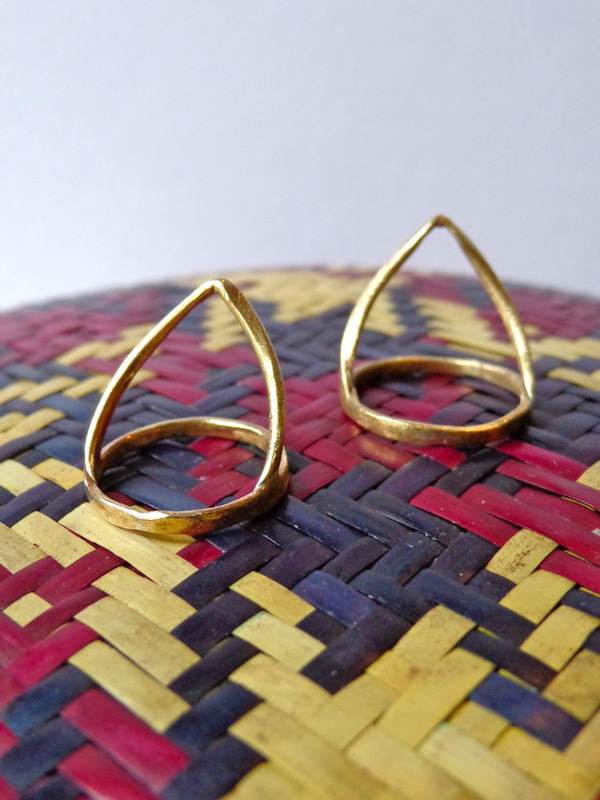 Her collections are modern, feminine and evoke innate curiosities of the wonders of the natural world. However, her Roam/Remain collection caught my admiration of her talent as a designer and storyteller. It comprises mainly of fair trade, organic and found items from wondrous locations such as India, Mexico, Greece and Peru. An individual is not just wearing a piece of jewellery; what they have in their possession is a piece of story; a journey to the unknown that needs to be told. 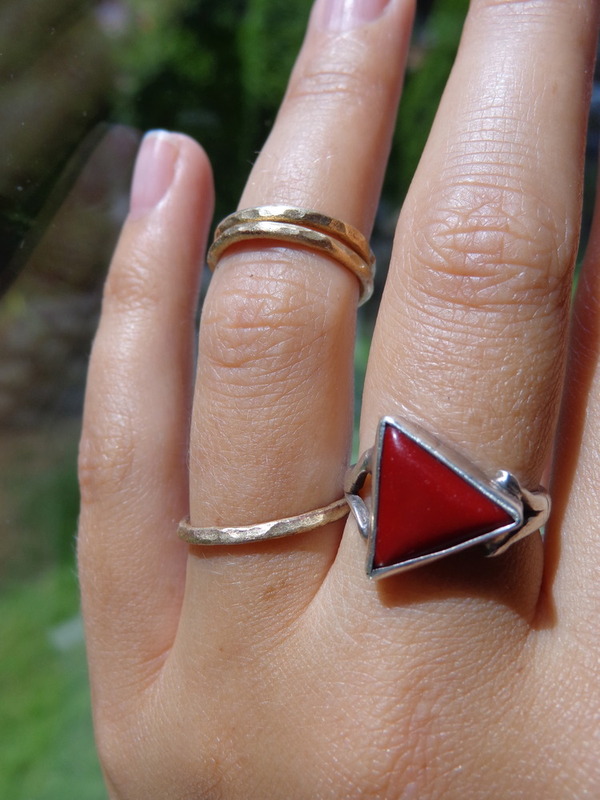 The Vara single point ring is part of her Roam/Remain collection and my absolute favourite. It is inspired by her travels in Northern India. The structural shape of this ring is indicated by the form of a mountainous top, temples and ancient structures encountered. The band is delicate and refined yet structurally sustainable with regular wearability. It is available in brushed gold finish in solid brass and also in sterling silver. What goes really well with the Vara single point ring is the Amarantos 1st and 2nd knuckle ring, also part of her Roam/Remain collection. The hammered finishing of the Amarantos (which means unfading) represents the rippling effect of the Silurian waves off the coast of Mykonos in Greece. Stack them up to create the repetitiveness of the waves created by its natural environment. Although pictures are worth a thousand words; wearing a memory is something else.